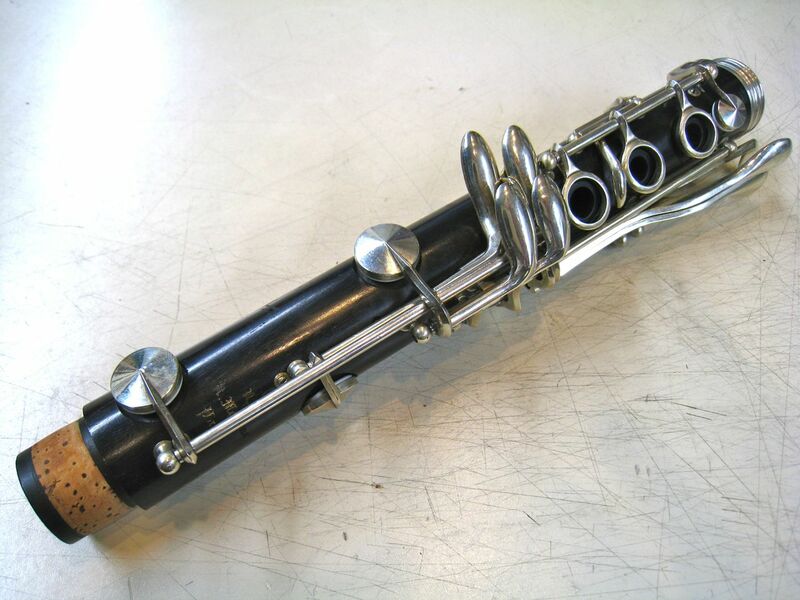 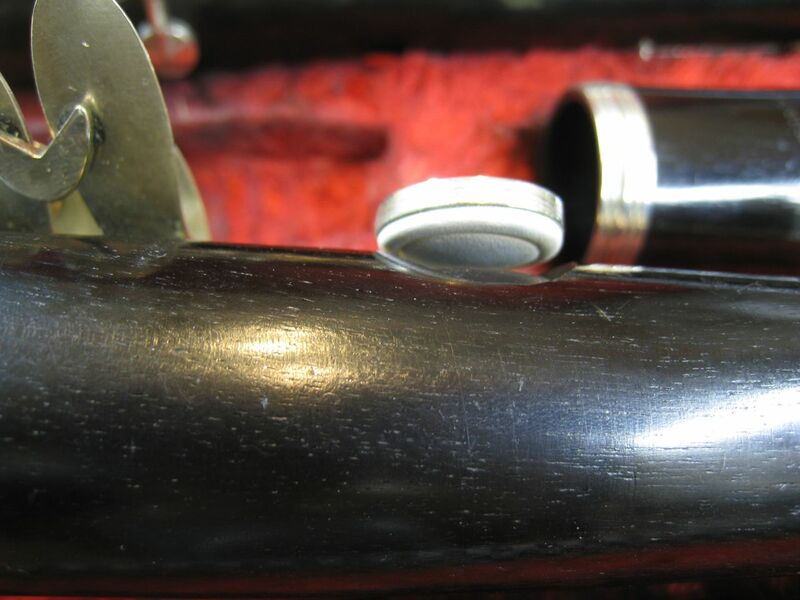 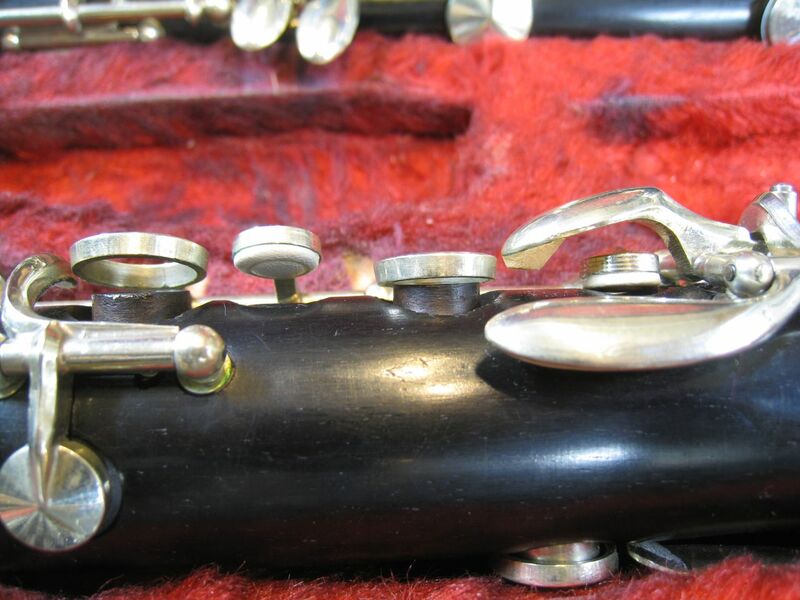 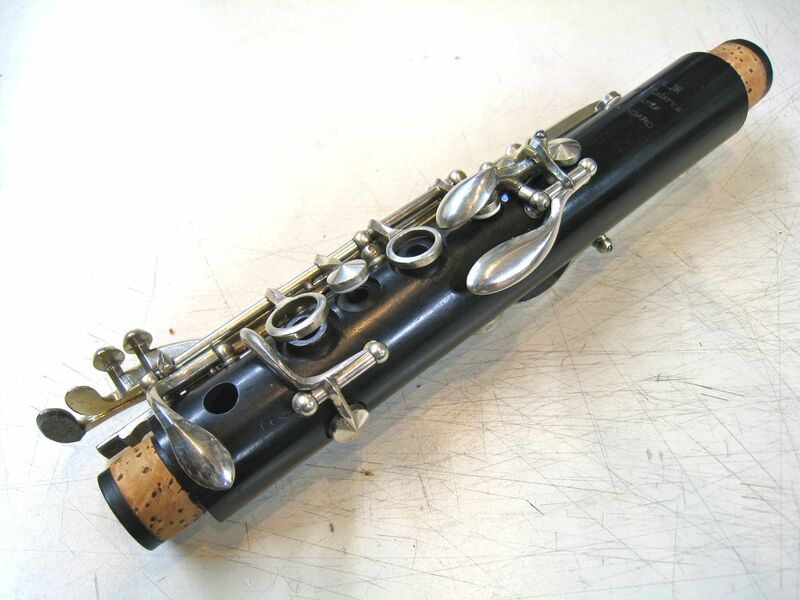 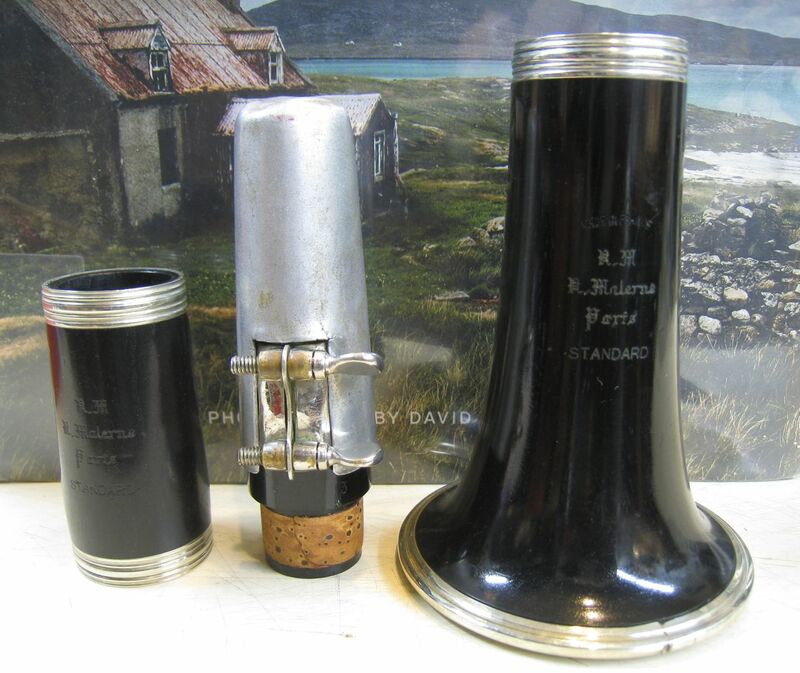 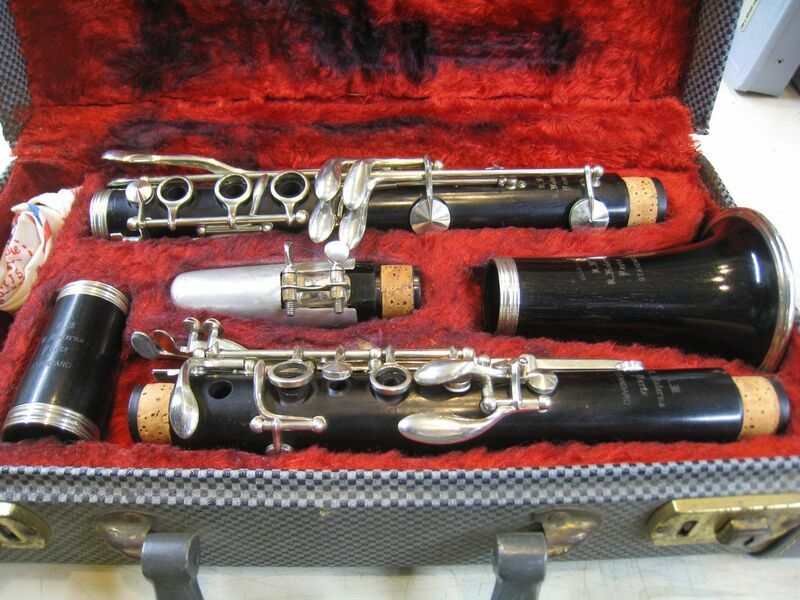 This clarinet received a "Complete Mechanical Overhaul". 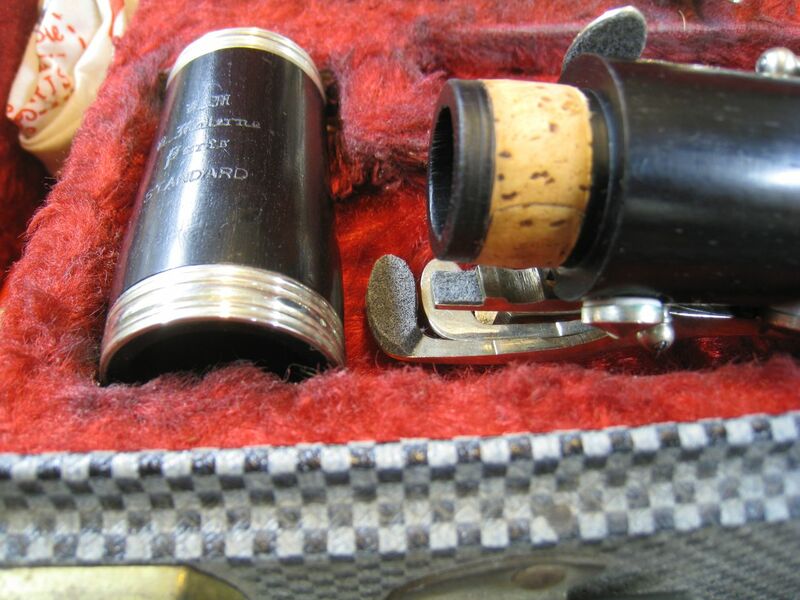 With all new "Roo" pads, corks and felts, tenon corks. 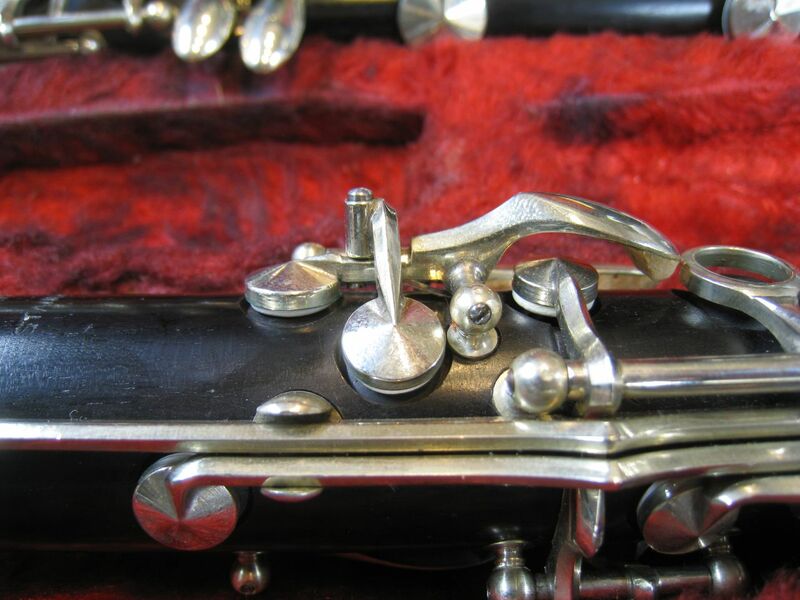 Key system entirely rebuilt. 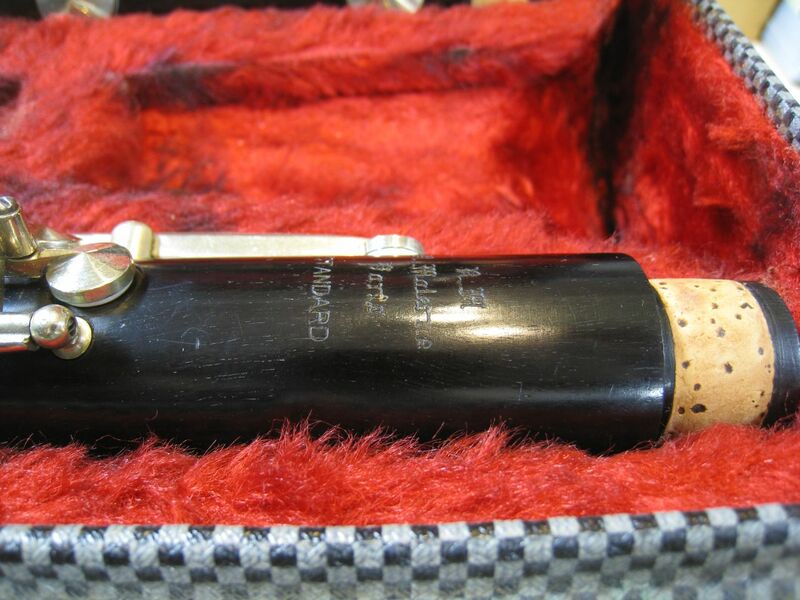 Comes with inexpensive mouthpiece/cap/ligature, Buffet hankie swab, tube of cork grease, 3 Vandoren Blue #1.5 reeds.